Owner of this car built his car as he imagined. That`s why somewhere it looks strange. 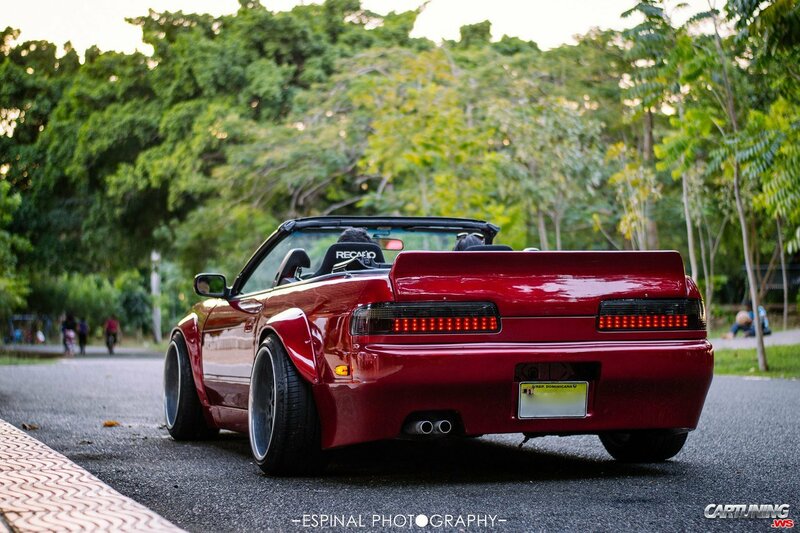 Rare S13 cabrio with "Boss" body kit. Car can be fast, but it`s cabrio, not coupe. And with sport sits Recaro. Front is in style of American muscle cars. Rear is typical Japanese. But owner doesn`t care our opinion :) He`ve build a car for himself.